The classic snack you know and love. 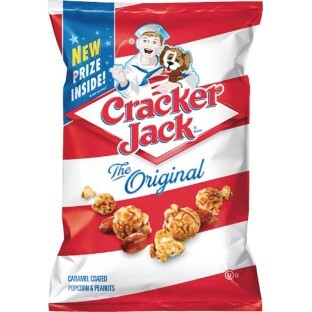 The Cracker Jack brand has been an American favorite for 120 years. The delicious blend of caramel coated popcorn and peanuts is just as good as you remember. And, as if a tasty snack weren’t enough, who can forget the thrill of opening the surprise inside? 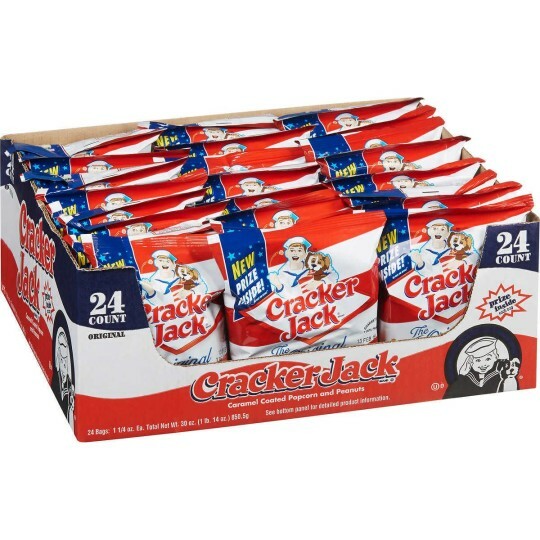 Contains 24 packs of 1-1/4 oz. bags of the original caramel coated popcorn & peanuts the classic Cracker Jack snack you know and love. Deliciously coated popcorn and peanuts can serve as a mid-day treat and can be easily packed for on-the-go snacking. Contains peanuts and soy.